Yesterday afternoon Governor Jay Inslee signed HB 1045, the Neighborhood Safe Streets Bill, into law. 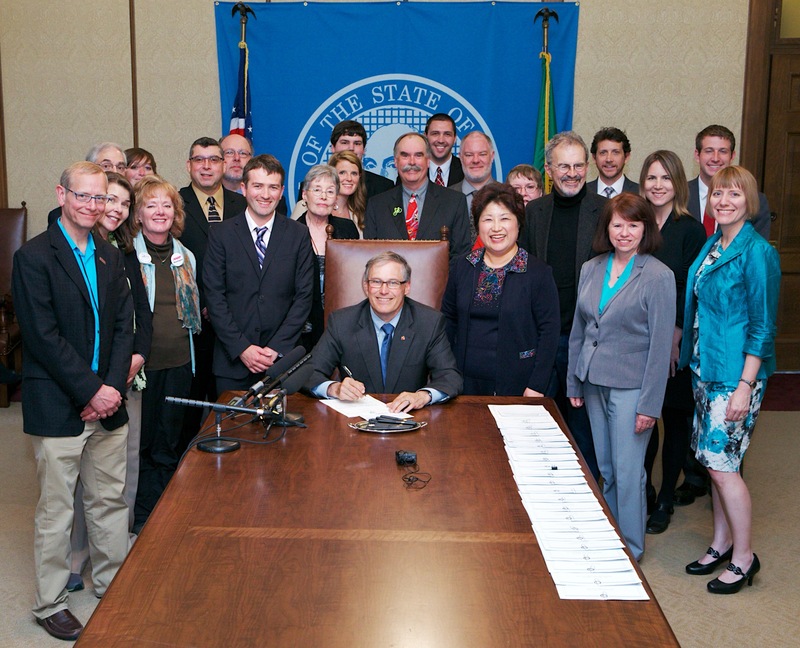 Governor Inslee’s bill action represents the end of a three year legislative odyssey for Washington Bikes, our legislative champions, and the countless organizations and cities that supported common-sense legislation to give cities and towns an easier pathway to make safe streets. A law is only as good as its implementation and even with special session far from over, we’re gearing up for developing tools for making sure cities and towns have the tools and understanding to use it effectively to create safe streets. 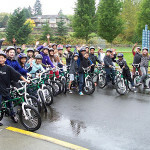 Neighborhood greenways – low stress neighborhood routes for people to walk and bike on their way to school, the store, or home. Current best practices call for speed maximums of 20 miles per hour or lower. Neighborhood connections around schools. School safety zones are narrow in their reach. Expanded 20 mile per hour streets in neighborhoods – with appropriate traffic calming designs – could make it easier for kids and families to walk and bike to school. Neighborhood slow zones – New York City has led the way in taking a data-driven approach to applying 20 mile per hour streets in neighborhoods to reduce the severity of crashes, discourage cut-through traffic and diminish traffic noise. 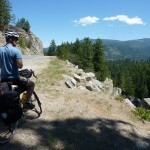 If you have questions or want to talk more about how your city and town can use this law after it becomes effective (on July 28, 2013), contact Blake Trask at the Bicycle Alliance. In the meantime, special session continues! 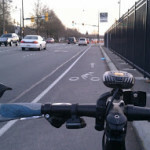 Now is the time to contact your legislator to tell them that you want more investments in biking infrastructure and you support the Liias Amendment in HB 1954. Contact them now! This article was posted in Advocacy, Funding/Policy, Health, Issues & Advocacy, Legislature, News, Safe Routes to School, Transportation. Bookmark the permalink. Follow comments with the RSS feed for this post. Both comments and trackbacks are closed.